If you’re like most people, your home computer probably sits idle most of the day. Maybe you’re at work or watching the kids or grocery shopping or watching TV. Whatever the case, 80% of the time my computer at home is either off or sleeping. This is good for saving power and money, but most computers don’t cost that much to keep on all the time anyway. Instead, I decided that I wanted to have my computer do something useful while I wasn’t working on it. Well, what can you accomplish on a PC without being around? Quite a few things actually. Here are five things you can try. There are quite a few projects out there that are trying to solve really complicated problems in the world, but need more resources. If you want to help with scientific research, there are several programs from universities around the world that can harness the power of your computer along with millions of other computers to create a super computer. This is a project from the University of Berkeley where you can volunteer your computer resources to help cure diseases, study global warming, find objects in space, etc. They have over 172K volunteers with over 850K computers in the network. This gives them a whopping 27 petaflops of computing power. Just download the software and choose the projects you want to support. 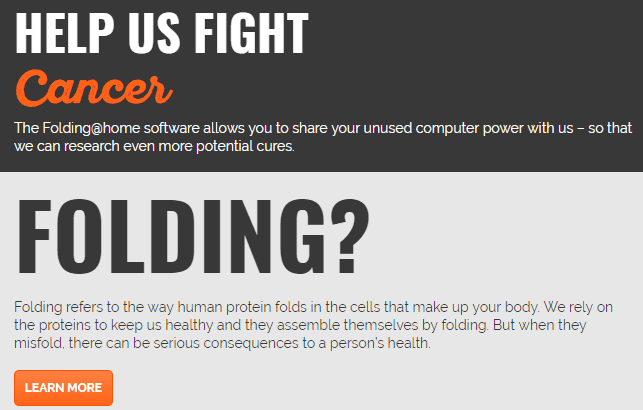 The other big project for volunteer computing is Folding@home from Stanford University. Its main purpose is to research diseases by looking at protein folding. It’s all quite technical and way over my head, but you’re basically helping them design new drugs to fight diseases. If you’re not backing up your computer, you should really take the time out to get a proper backup plan in place. Even if you don’t have any important data stored on your PC, you can still save yourself hours if your computer crashes and you need to perform a restore. Reinstalling Windows along with all of your programs is a time-consuming process. Why not have your computer backup when it’s idle? You can create your own backup images manually, but you’re way more likely to create the backups if they are done automatically. The best options here is to use a cloud backup service. The ones I have used personally are BackBlaze and Carbonite. These services obviously cost money, but they are super easy to use and give you the freedom to not worry about manually backing up your computer. If you hate your computer restarting in the middle of a work day, then you can easily adjust your settings so that Windows only updated your PC when you’re not using it. In Windows 10, you simply click on Start, then Settings and then Update & Security. 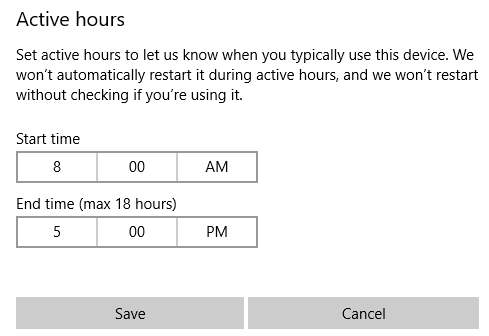 Click on Change active hours and set the time that you work on your PC. Windows will only do updates outside of this time range. 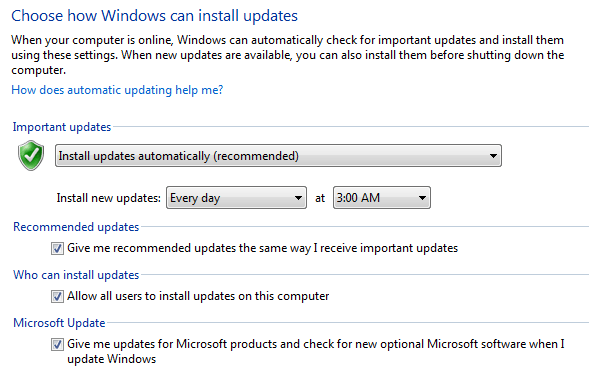 In Windows 7, open Control Panel and click on Windows Update. In the left-hand pane, click on Change settings. You can choose to install new updates every day or you can pick one day of the week. You can also choose the specific time when you’re most likely not using the computer. If you’re someone who likes to share a lot of content with others, then you might consider setting up your computer as a file sharing or game server. I wrote an article about some third-party software you can use to create a home file server. You can also install IIS in Windows Pro and higher versions to create your own FTP server or web server. Finally, if you enjoy gaming with friends, you can setup your own game server to play games like Minecraft, Counter-Strike, Quake, etc. These are a bit more complicated to setup, but your friends will definitely think you are cool if you have one of these running from home. If you have a powerful machine, an unlimited Internet connection and one hell of a router, you might consider becoming a Tor relay. 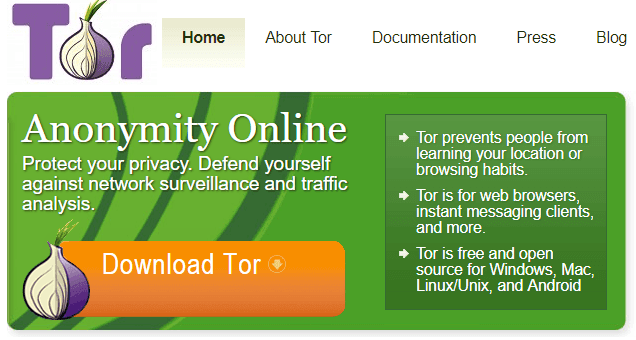 Tor, if you didn’t know, is a project that aims to help users browse the Internet without being tracked. It’s not full-proof, but works well for a lot of people. However, the network is made up of volunteers who act as relays. When you visit a website, your request goes through several relays before reaching the final destination. This helps mask your true identity. Becoming a Tor relay has some technical requirements and legal implications, depending on where you live, your ISP, etc. However, if you can, it’s a great way to make the web more private. I only listed five ways to use the extra processing power of your PC, but there are so many more that I figured I would add a couple of more. Mine Bitcoin – You probably won’t be making much money if you use a single computer with one graphics card, but if you have a powerful multi-GPU rig, you could earn a couple of dollars a day (possibly). Or you could join a mining pool. One free and clean Bitcoin mining program is GNUMiner. Record Movies and TV Shows – If you have an OTA antenna and some extra hard drive space, you can easily record TV shows and movies for free. Download a program like Plex onto your computer, connect a digital tuner and you’re good to go. Automate Usenet Downloads – Download a program like SABnzbd to automatically download files from Usenet. There are a lot of other things you can do with an idle PC, but these were just a few that came to my mind. If you have another cool way to utilize an idle PC, let us know in the comments. Enjoy!